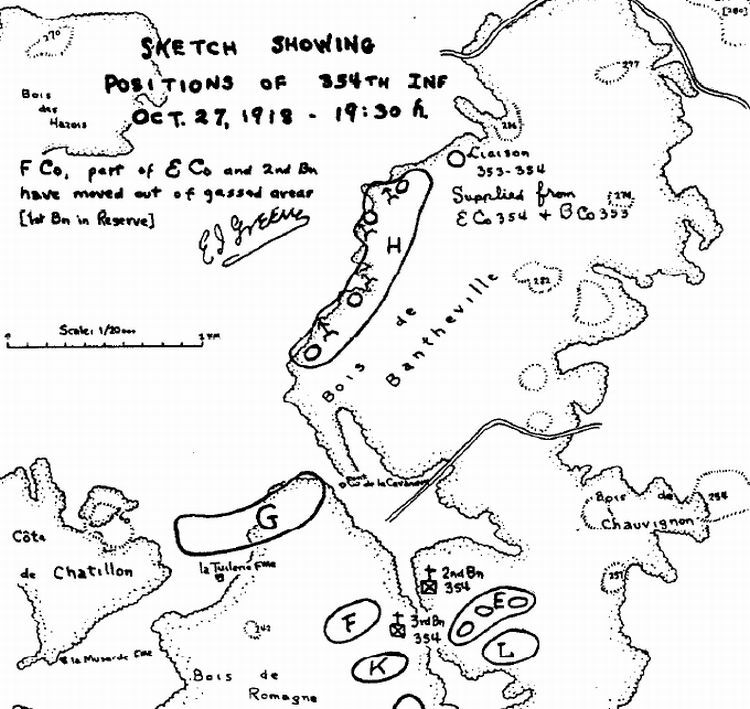 The following show the jump off point for the 89th Division on the 1st of November 1918. 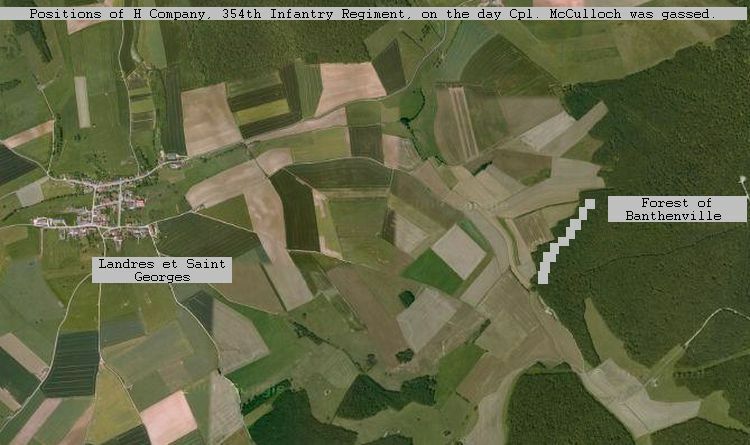 The positions of the 354th Infantry Division are shown, of importance the poitions of H Company during the gas attack. The Sat Photo is from google.